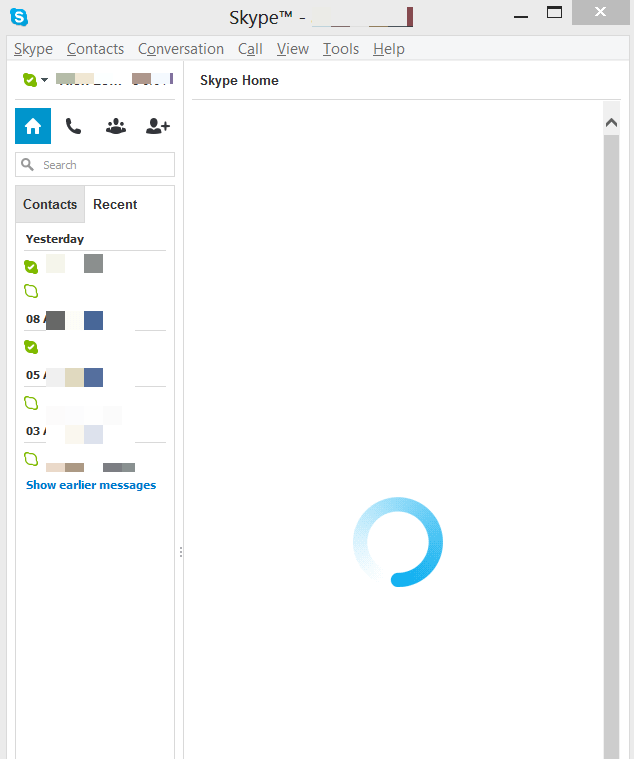 Microsoft’s Skype “Home” view is something they should really fix. Most of the time all I see on it is an eternally-spinning blue loading animation. It never returns an error or asks me to try to connect again. This is a simple matter of bad UI design – if you are forcing a certain view upon application launch, you better be 100% certain that it works or has some sort of fallback that doesn’t make your application look like it’s broken.